Someone really wanted a gray PlayStation 4. 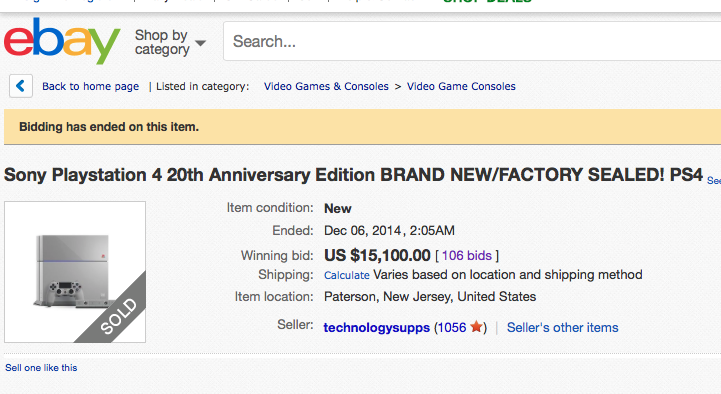 A Sony Playstation 4 20th Anniversary Edition has sold for over $15K on eBay. The listing - which started at $0.99 and received 106 bids from 38 different bidders - eventually concluded at $15,100.00 (£9,700,00). It was live for just a single day and only twice were bids retracted. "This is for the limited edition 20th Anniversary Playstation 4 console," states the listing. "These consoles commemorate the very first gray Playstation released back in December 1994 (20 years ago) and are only limited to 12,300 units. They are extremely limited and all units are individually numbered (see stock photo #5). This is your chance to get your hands on one!" Sony released the limited edition console in celebration of the PlayStation's 20th anniversary, and limited production to just 12,300 units. 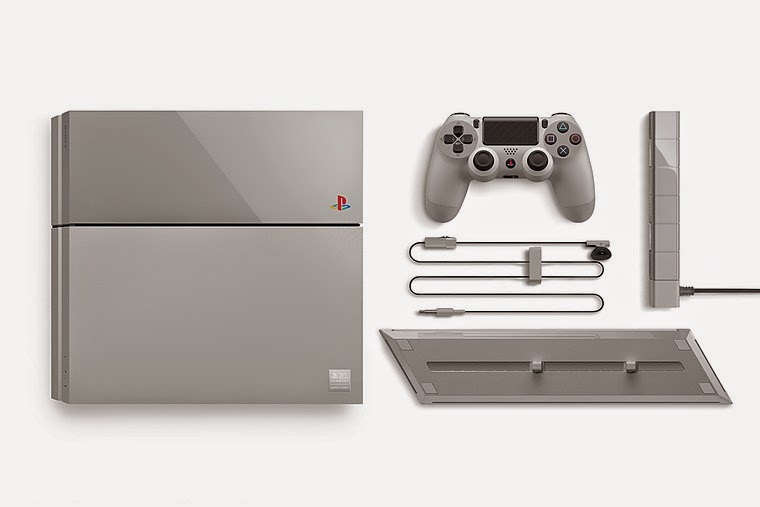 It features a camera, vertical stand and a Dual Shock 4 controller in the same iconic gray finish of the console, and was intended to retail for around €499/$499.